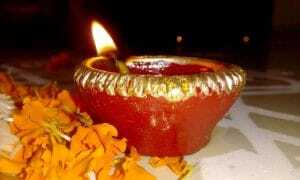 Diwali or Deepavali is the 5 day Festival of Lights which is celebrated by millions of Hindus, Sikhs and Jains across the world. It is a seen as a new spiritual beginning, a celebration of good over evil and light over darkness and is illustrated by various stories from ancient literature and mythology. 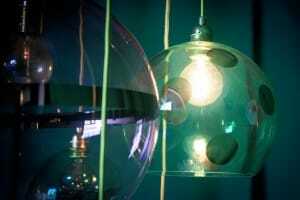 The festival happens in October or November every year – the date varies according to the lunar calendar. 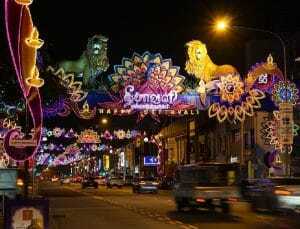 In 2017 Diwali takes place between 18 October and 22 October. 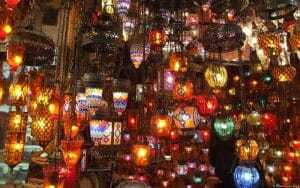 The word ‘Diwali’ means ‘rows of lighted lamps’ and is known as the ‘Festival of Lights’ because houses, shops and public places are decorated with small earthenware pots called diyas. 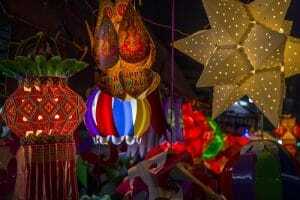 Diwali is one of the busiest shopping seasons as it is a time for spring cleaning the home, buying new clothes and, if the budget will allow, more expensive items such as cars and gold jewellery are often purchased. Gifts are exchanged with family and friends and typically these includes sweets, dried fruits and other seasonal specialties. Family members gather together to celebrate with festive meals and often attend huge firework displays and street celebrations. 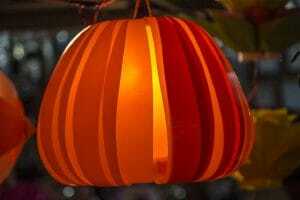 Lights and lighting is a huge part of the Diwali celebrations as homes and businesses are decorated with beautiful candles and colourful lights. We would like to wish everyone who is celebrating this festival ‘A Happy Diwali’ and offer some suggestions for lights that can be used as gifts or to help decorate the home for festive occasions. One of the easiest ways to add a centerpiece to the festive table is to take a large bowl, add some water and float a few small candles or tea lights along with a selection of bright, colourful flowers or pebbles – so simple, yet very effective, whatever the occasion. If you are looking for a nice gift for a family member what could be better or more appropriate than giving the gift of light for Diwali? 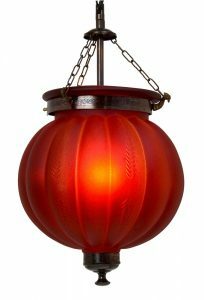 We have shown a small selection of our table lamps below which would all make lovely gifts that can not only be used to decorate the home for Diwali but can enjoyed for many years to come. 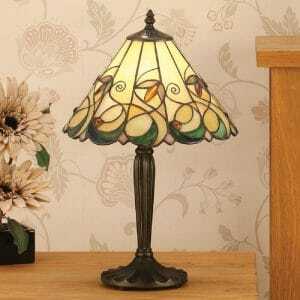 Tiffany lamps with their beautiful stained and coloured glass come in a wonderful array of warm colours and make great gifts. These are design classics that never seem to go out of fashion. 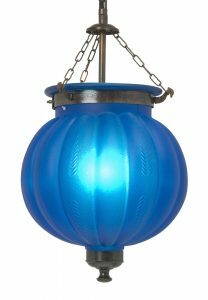 They look stunning wherever they are placed but are really effective sited where they can catch any natural light as this allows the rich colours to be reflected even when the lamps are not lit. The Jamelia lamp on the left uses soft organic colours in a subtle floral pattern of green leaves with amber jewel flowers and buds and a scalloped border in emerald green all on a neutral coloured cream background. 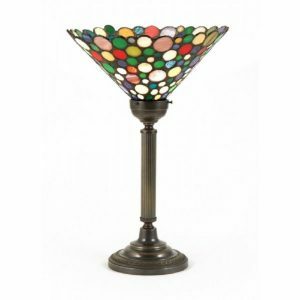 The Nelson uplighter table lamp shown on the right is given a modern twist with the vibrant, colourful shade in a multi-coloured spotty or ‘Smartie’ effect. 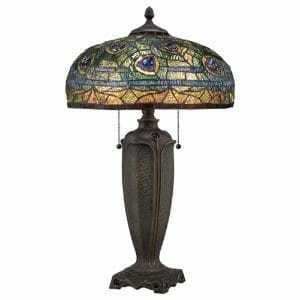 The compact India table lamp has a hand crafted shade made using top quality American Art glass. It features a gently flowing pattern of cream and gold encrusted with blue jeweled beads that gives a flavour of the rich designs developed over the years in the Indian sub-continent. 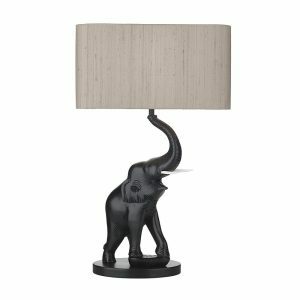 An innovative and original design table lamp manufactured in the UK featuring a lifelike elephant crafted in black jesmonite complete with ivory coloured tusks. 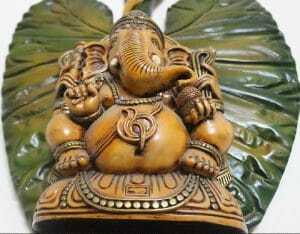 The elephant God Ganesha is the most widely worshiped Hindu God and is regarded as a symbol of good luck, fortune and protection. Our Tantor table lamp is supplied with the rectangular taupe silk shade shown – other coloured shades are available on request. The stunning Lynch table lamp uses a design incorporating deep blue jewels set among peacock feathers all painstakingly hand crafted using pieces of stained glass. 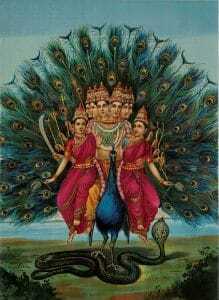 The peacock is the national bird of India and peacock feathers or ‘mor pankh’ are considered an auspicious symbol and many Hindus keep these feathers in their homes believing they bring good luck and prosperity. 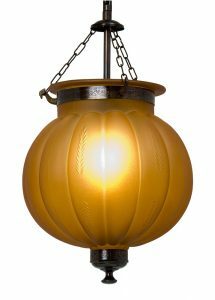 The exotic Pumpkin lanterns shown above are perfect for using in entrance hallways where they will create a warm welcome to your home. 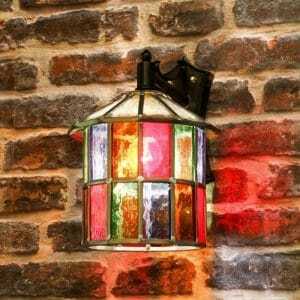 These lovely coloured glass lanterns have a delicately embossed leaf pattern on the glass and are teamed with decorative antique metalwork. 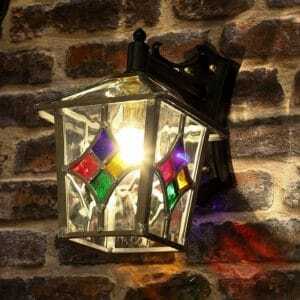 Not only great for Diwali but for all year round too. 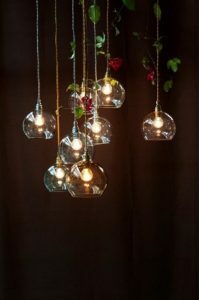 These charming transparent glass pendants come in a great choice of colours and sizes. 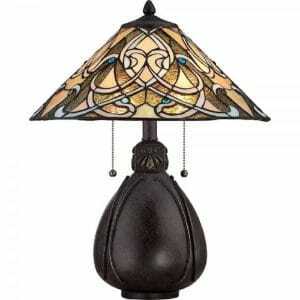 They are made in Denmark by a small company who used basic materials to product functional decorative glass lighting using traditional methods. 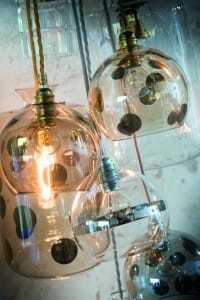 The Rowan ceiling pendants can be used individually but they really come to life when hung together in a cluster or row – for a truly unique look consider mixing different sizes and colours together. 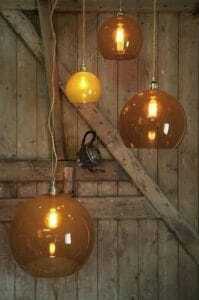 Wonderful lighting for over dining tables, breakfast bars and kitchen islands. 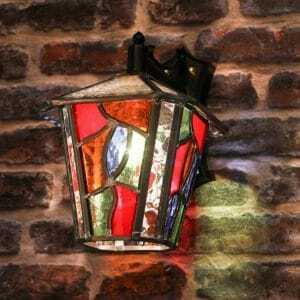 Our final selection are these colourful stained glass outdoor wall lights, shown above, that are sure to create a warm Diwali welcome to your home These quality British exterior wall lanterns are hand crafted in Somerset using traditional leaded glass techniques. The IP23 rating ensures they are weatherproof for use outside. 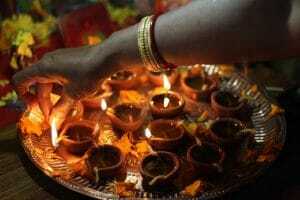 May the festival of lights brighten your life and bring happiness, joy and prosperity for you and your family.